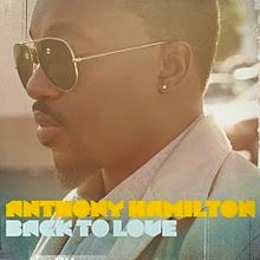 A soul singer who has drawn comparisons to such classic R&B vocalists as Bill Withers and Bobby Womack, Anthony Hamilton struggled for the better part of the 1990s as two of his albums went unreleased. Getting his start at age ten singing in his church choir, the Charlotte, NC, native also performed as a teenager at various nightclubs and talent shows. Always with an eye to move on to bigger things, Hamilton made the move to New York City in 1993, eventually signing with Uptown Records, epicenter for the new jack swing sound and home to artists such as Jodeci and Mary J. Blige. By 1995, Uptown was set to push Hamilton’s debut album, but the company went out of business, leaving the album unreleased. Hamilton next signed with MCA and recorded his critically acclaimed but largely overlooked 1996 album, XTC. Another transitional period followed and Hamilton ultimately found himself at the Soulife label. It was at Soulife, a relatively new venture run by some of the singer’s old Charlotte friends, that Hamilton laid down tracks for another solo album and also wrote songs for such artists as Donell Jones and Sunshine Anderson. In 2000, he accepted an invitation to sing backup vocals on singer/organist D’Angelo’s “Voodoo Tour” and traveled the world. Upon returning home, Hamilton discovered that Soulife had also gone belly up. With a second album unreleased, Hamilton spent the next two years selling songs and singing backup for artists including 2Pac and Eve. Then, in 2002 a lead spot singing on the Nappy Roots track “Po’ Folks” garnered Hamilton some much-needed attention, as the song was nominated for the Best Rap/Sung Collaboration at the 2003 Grammy Awards. A subsequent gig performing at a Grammy luncheon led to a meeting between Hamilton and producer Jermaine Dupri, who quickly signed the singer to his So So Def label. Technically his fourth album, Comin’ from Where I’m From bowed for So So Def in 2003. In 2005, some of his Soulife recordings were dusted off and polished up for release as Soulife, and the new album Ain’t Nobody Worryin’ followed later in the year, becoming his third consecutive Top Ten R&B album. 2007′s Southern Comfort was another set of previously unreleased recordings; The Point of It All, a proper studio release, was issued near the close of 2008.